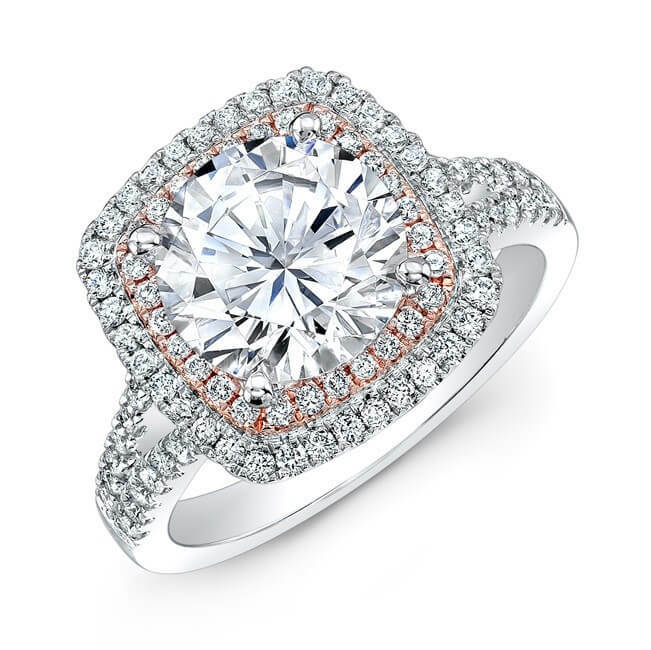 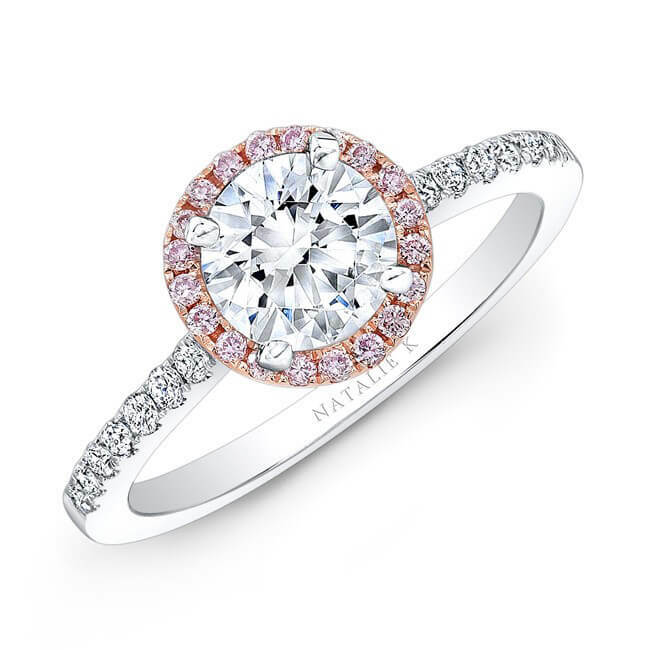 A ring of 18k rose gold adds a soft glow to this engagement ring’s luxurious double diamond halo. 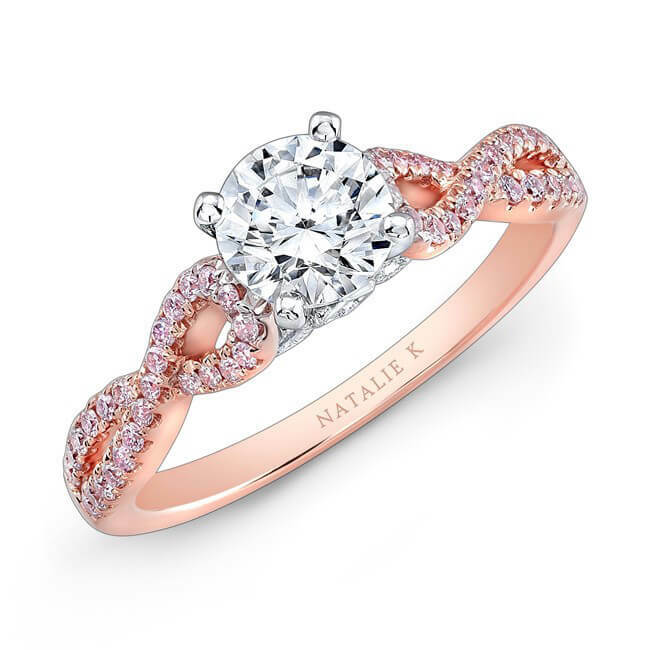 The robust center mounting is supported on a split shank and rests above a scroll work design diamond gallery, also crafted in 18k rose gold. 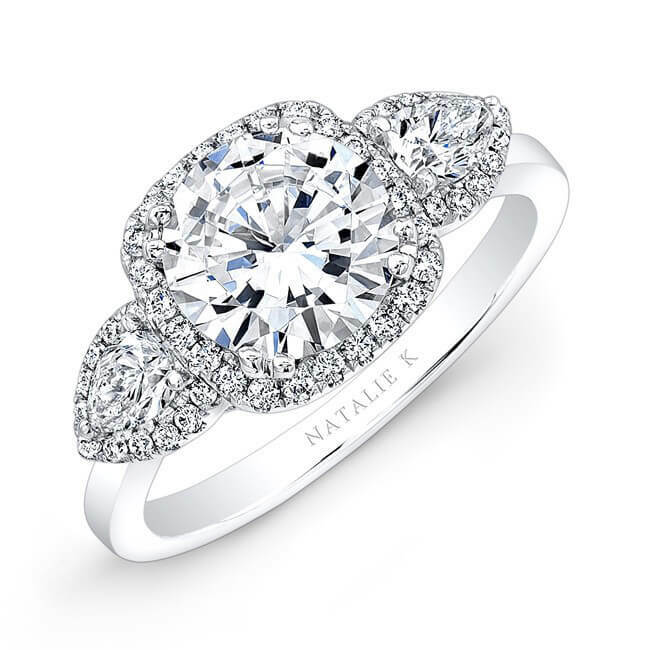 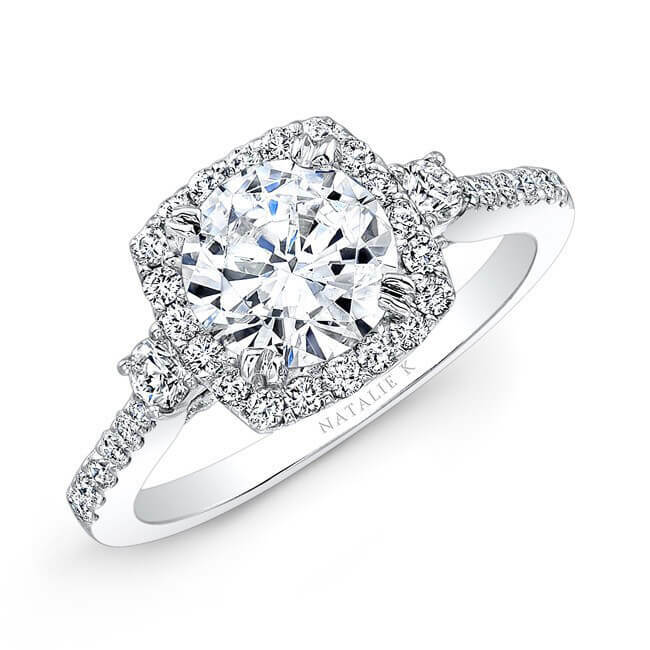 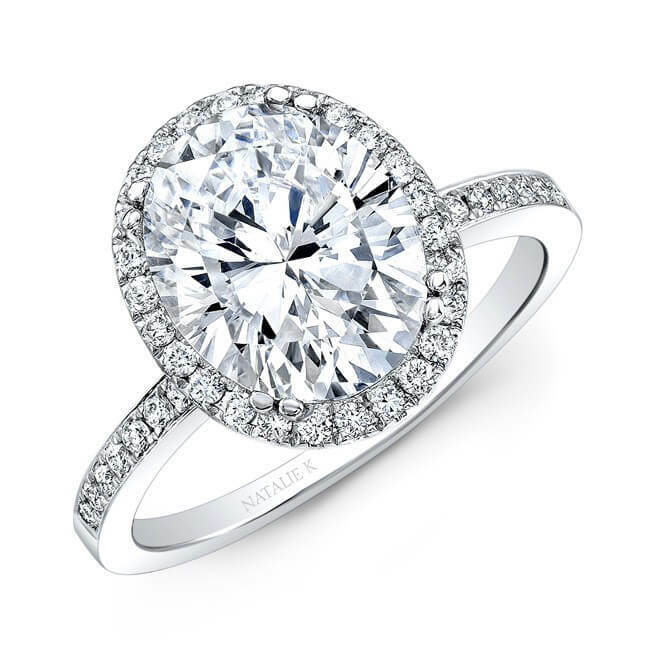 With 134 white diamonds this 18k white gold Natalie K ring’s sparkle in undeniable.